The Golden South Classic has always been one of the most forward-looking track and field meets in the country. With four full decades in the books, that tradition continues. In 1977, the first edition of the meet was also the first postseason high school meet to invite girls to compete. Its closest analogue, the Golden West in Sacramento, first invited girls in 1988; the first Olympic women's marathon was held in 1980. So yes--the Orlando, Florida track meet is serious about being ahead of the curve. And that tradition will continue in 2017, as FloSports takes the baton of managing the meet for the second straight year. The forty-first edition will be as creative as the first, with thrilling match ups, Brooks PR qualifiers, live music during the meet, food trucks on the infield, and more. It'll have all the signature verve of a FloSports event with the august history of a meet that has grown--even progressed the sport as a whole--over forty years. In the late 1970s, the Central Florida YMCA, Orlando Sentinel, and Burger King built the meet from scratch, with the Y carrying most of the load. 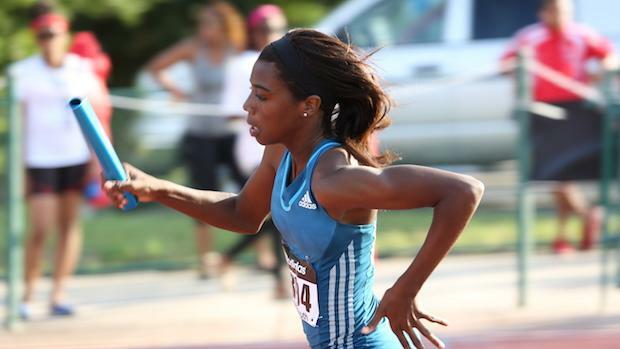 The meet quickly became a beacon for the most talented athletes in the southeast. Future football legend Herschel Walker (and future 55m world record holder) competed in the 100 at Golden South. Before graduating high school in 1980, he was among many future collegiate record holders and NFL players who sprinted at Golden South in the meet's first decade, including Michael Timpson and Eric Metcalf. Thirty-one years later, Timpson--who went on to play football for Penn State and in the NFL and break the NCAA record in the indoor 300--still has the meet record in the boys long jump at twenty-five feet, ten inches. But when the Orlando Magic came to town in 1989, the sports landscape in central Florida began to change. The basketball team was the city's first--and to date, still only--professional sports team in one of the four major American men's pro leagues. Long-time Golden South meet director Ken Brauman explained that the Magic's arrival forever changed the texture of sports in central Florida. Brauman says that over the course the 1990s, "financial support for amateur sports was drying up" in the region as sports became more commoditized and professionalized. Eventually, in 1992, sponsorship dollars wavered and the event's future was in jeopardy. Enter former University of Florida long jumper and Bert W. Martin Foundation Vice President Andy Warden. As a 1992 Orlando Sentinel article puts it, Warden saw a story in the newspaper about the potential cancellation of Golden South, called then-meet director Jerry Haralson and asked him what it would take to preserve the event. Warden presented the opportunity to the family Foundation at a meeting that same week. The Foundation agreed the event was worthy and agreed to donate the necessary funding to sustain the event, at which point the event was named the Bert M. Warden's Golden South Classic - honoring the life of Bert Warden, a Foundation family member and elite sprinter from California. From there, the meet took off, athletically and philanthropically. As the Bert Martin Foundation became more involved with the meet, it named Arnold Palmer Hospital for Children as the event's charitable beneficiary. Over the years, funds from the event supported vital services and programs throughout the hospital. The most significant contributions were directed to the Pediatric Sports Medicine Program which specifically benefits young athletes like those who compete in Golden South and similar events. Brauman glowingly says that he's never seen a more dedicated and enthusiastic corps of volunteers than the ones who have successfully put on the meet-for free-over the last two decades. As he puts it, "it's unusual for that many people to come together to volunteer, just to do something great for young people." As the meet found its charitable purpose, it also hit a serious athletic groove. In 1993--the second edition of the meet with the Bert Martin Foundation--Andre Scott triple jumped fifty-three feet, four inches, winning by over seven feet. Scott went on to be the Gatorade National Track & Field High School Athlete of the Year that year; he's now the jumps coach at the University of Mississippi. Scott is still the fifth best triple jumper in American high school history. Brauman is also quick to point out that the Arnold Palmer Hospital's involvement brought on a "real professional organization" that had been lacking in the wooly early days of the meet. The meet was professionally organized, and it also attracted future professional athletes of the highest caliber. As the meet crossed into the twenty-first century, it continued to attract America's future finest athletes. The meet is so competitive that future Olympic and world champions Sanya Richards-Ross and Jenny Simpson raced there in 2000 and 2003, respectively -- and lost. With the meet now headed into its fifth decade, and first under the FloSports banner, who will be the next American legends to burn up the track at Golden South?